Teach your child how to recognize common objects in his or her world with this colorful set of flash cards. 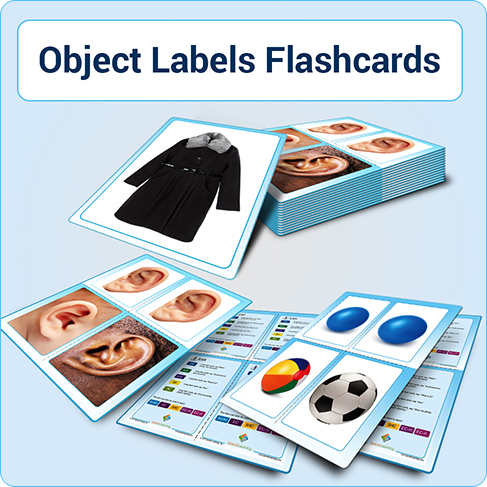 The Object Labels Flashcard Early Language Curriculum is an educational tool designed to teach basic language to individuals with Autism, Down syndrome and other developmental disabilities using a simple and fun format. Provides helpful instructions to make each interaction with a child a teachable one!